What Can I Do With WordPress? Let me be honest with you, WordPress is a brilliant platform for creating websites and blogs. It’s relatively easy to master, it packs a ton of features. On top of all that, it’s also really customization-friendly. In other words, if you want to change anything about it – and we do mean anything – WordPress allows you to do so in one way or the other. The following guide covers a lot of ground and gets you through the process of WordPress customization from start to finish. At this point, you have your website launched – as in, made available for the world to see. You have your WordPress theme selected, everything looks more or less as you imagined it. Now is the time to take care of some important, yet not that obvious steps that will help you make your site look exactly like you want it. To make it safer, easier to manage, and optimized for the search engines. Or rather, set the correct permalink structure. The thing is that WordPress comes with default permalink structure, but it’s not the most optimized one. That’s why you should fix it right upon making your site available to the world. This “Plain” permalink structure doesn’t let you create descriptive URLs for your posts and pages, which is bad not only for SEO, but also for your visitors. Change that setting to the one labeled “Post name” (visible above). This is a quick check, but a very important one, if you want your website to ever rank in Google for any keyword. Backups are always your most important asset in case anything bad happens to your site. It can happen that one day your hosting platform fails and you’ll lose the site temporarily. Or maybe it falls victim to a hacker’s attack. Those things sometimes happen, but they are less painful if you have a working backup stored someplace safe. The easiest way to have this taken care of is to install a backup plugin, and then let it work on autopilot – backing up your site every day without your supervision. For a free solution, try out UpdraftPlus. For a top-tier solution – one that also offers a range of additional security features – go with VaultPress. As a website owner, you need to know how many visitors you actually have at your site, and how they are accessing it. But that’s only the tip of the iceberg. There’s so, so much more what you can learn about the people visiting your website. Luckily for all of us, the most in-depth analytics tool is available for free. I’m talking about Google Analytics. You can hook it up to your site by going to Google Analytics’ official website and following their getting started guide. To make the final integration steps easier, get the free MonsterInsights plugin. In all of WordPress’ glory, it’s also a platform that’s often a victim of hacker attacks or malicious software that tries to take advantage of various security holes in one way or the other. Unfortunately, due to WordPress’ popularity, those attacks happen more often each year. Even though the platform itself is not what you’d call bad in terms of security, we can still make things a lot better with an additional security plugin. The one we recommend is called iThemes Security – a free plugin. The good thing here is that it offers most of its magic right out the box, so there’s nearly no initial set up to do. Those two technologies usually go together, since they both impact the performance of your site and its speed – the time it takes to deliver the site to your audience. In short, when a visitor enters the address of your site into their browser bar and presses Enter, many things happen. Many of them can be optimized to effectively make the waiting time shorter. And that indeed matters! For instance, it’s reported in a studythat 47% of people won’t wait longer than 2 seconds for a website to load. “Won’t wait” means that they will leave and go to some other site instead. Caching and CDNs are two of the most effective ways to fix that. In itself, caching is a fairly boring topic, but its core is that it takes some of your website content and stores it in a way that allows that content to be served quicker when the next visitor asks for it. A CDN stands for Content Delivery Network. Basically, it’s a network of servers that take your site’s static content (such as images or other content that doesn’t change that much) and deliver it to your visitors from the server of the nearest geographical location. How to get all that goodness? Caching is something you can enable by installing a free plugin called W3 Total Cache. It works mostly on autopilot, so there’s no need to go through its many pages in the WordPress settings menu (but I still recommend you at least read them to find out what’s possible). If you’re looking for a free solution: CloudFlare (suitable for new WordPress sites). If you don’t mind investing in your site performance: KeyCDN (great even if your site starts growing in the future). We urge you to read some more about both of these topics. All the solutions recommended here do quite a bit of explaining in their documentation/website materials. After the initial installation of your WordPress site is done, you end up with a single user account – the main administrator account. First order of business: make sure that the username is secure. Yes, the username. We’re not even getting into the passwords yet. Long story short, if your username is anything like “admin”, or “siteadmin”, or “administrator”, or anything like that – it’s poor for security and you need to scrap it! To do this, you actually need to go to wp-admin / Users / AddNew and add a completely new Administrator user account. Only this time, make the username not obvious. Delete the old admin account once you have the new one added. Second order of business: make sure that your password for the admin account is safe. Here’s a great quick guide for that. Third order of business: create a separate Editor account for yourself. This account you will use for all content creation/editing purposes. An approach like that is much safer than using your admin account for everything. This way there’s less possibility that you mess something up by accident. This part is probably the main thing on your agenda when it comes to launching a WordPress site that fits your needs 100%. With every WordPress theme, no matter the quality it is and what awesome features it offers, there’s always something. There’s always that little, or slightly bigger, somethingthat you’d like to change before you can honestly call the final result “yours”. And that is exactly what we’re discussing in this section of the guide. 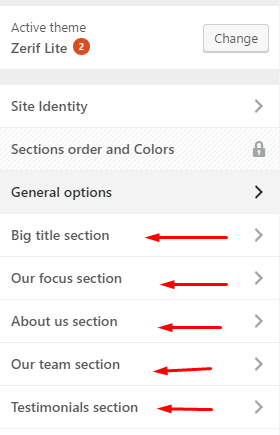 First things first, the individual customizations that we’re just about to go through, won’t be available in every single WordPress theme on the market. Basically, your specific theme selection will highly impact your ability to follow through with certain changes. Unfortunately, old themes, or themes that haven’t been updated in a while, won’t have that much to offer you in the realm of customization. For new and/or modern WordPress themes, this isn’t an issue. Note. If you feel that your theme might not be up to par and that you probably could use something that’s slightly more in tune with the modern standards, feel free to visit our other guide and go straight to point #5. In short, every modern WordPress theme allows you to customize various details of its appearance and features through the built-in WordPress Customizer. Many of the customizations we’re presenting in this guide involve the Customizer in one way or the other. That’s why it’s important to get yourself familiar with it. On the right-hand side, there’s the preview of your site – it changes in real time as you do any modifications. Depending on the theme you’re using and the plugins you have installed, you’ll see more or fewer modules in the Customizer’s sidebar. Therefore, don’t worry if your sidebar doesn’t look quite like the example above. To begin, just spend a couple of minutes browsing through the individual sections in the Customizer and check out what is there. The header together with the logo are, by far, the most identifiable parts of any WordPress website. Depending on your theme, the header and the logo might be regarded as one thing. In this case, you can handle them both in one place. In this article, we will keep things standardized for most scenarios – hence separating the two. 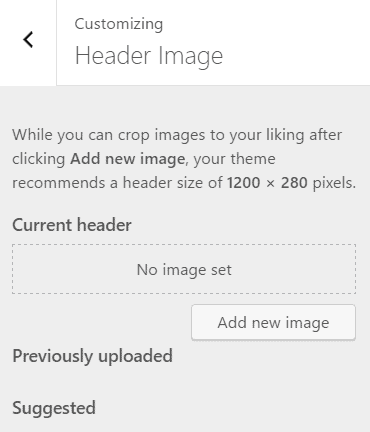 To work with your header, go to the Customizer, and then click on the box labeled either “Header”, “Header Image”, or something similar (this changes from theme to theme). If it’s your first time, you’ll probably see something like this – not much! To begin, just click the “Add new image” button. This works just like the standard WordPress uploader for media, nothing fancy. Depending on your theme, those numbers will vary. Now, the caveat is not to pay attention to that at all. Yep, you’re reading this right. 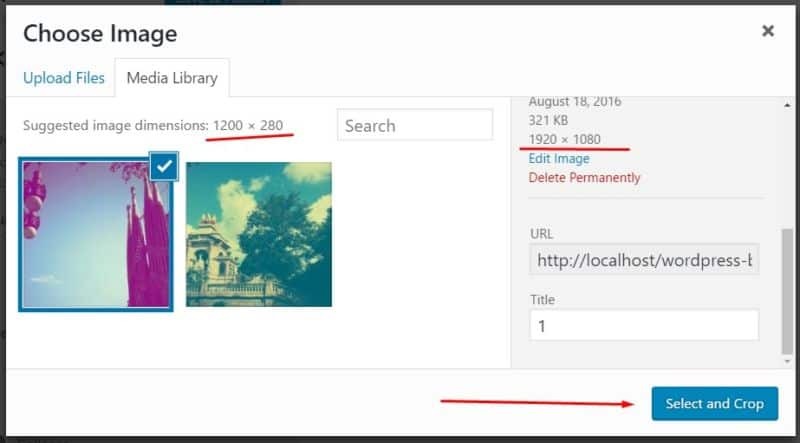 What you actually do is always try to pick a high-quality, high-resolution image, and then scale it down afterward using WordPress’ own tools. Two things you’re going to do here: (a) set the logo, (b) set the site icon. 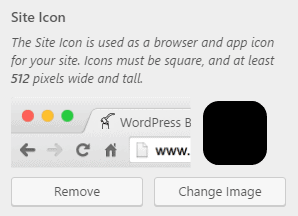 The next step is setting the site icon, also known as Favicon. Traditionally, the best idea is to take your logo, remove any text from it, and then set it as the site icon. This works well because site icons occupy very little space in the visitor’s browser bar, so the simpler they are, the more readable they will be. Don’t know how to create a Favicon? Use those favicon generators instead. 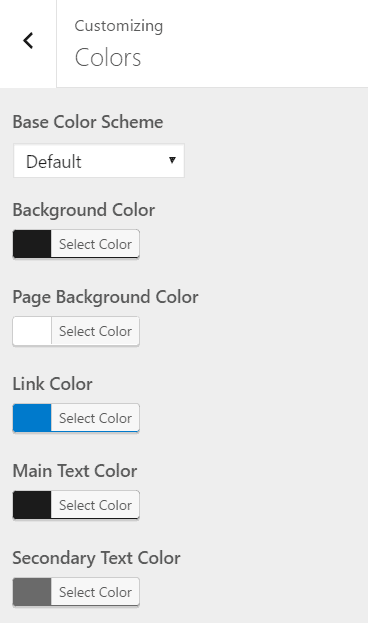 Some WordPress themes let you customize the default colors used for things like the website background, links, main texts, secondary texts, and more, depending on the specific theme. Apart from that, you can also choose from some pre-defined color schemes – visible in the image below. I encourage you to experiment with this and select colors that go along with your business identity and branding. At this stage, most WordPress themes support customizable backgrounds, which includes not only setting the colors – as mentioned in the previous point – but also custom background images. This is done in Customizer’s “Background Image” section. Background Repeat – this defines what happens when the visitor scrolls down the page and eventually runs out of your background image. Background Position – self-explanatory, but switch between them to see the difference. Background Attachment – Scroll means that the image will scroll along with the rest of the site content. Fixed means that the image will always stay in one place. Since there are thousands of themes available out there, and many of them add their own blocks to the Customizer, covering all imaginable possibilities in this guide is simply impossible. So at this point, we just want to encourage you to browse through all the Customizer sections available in your current theme and experiment with what you find there. Page Builder by SiteOrigin. Great for adding entirely custom content elements and custom layouts to your pages and posts. One of our favorite plugins. NextGEN Gallery. Create and showcase great-looking image galleries. Content Views. 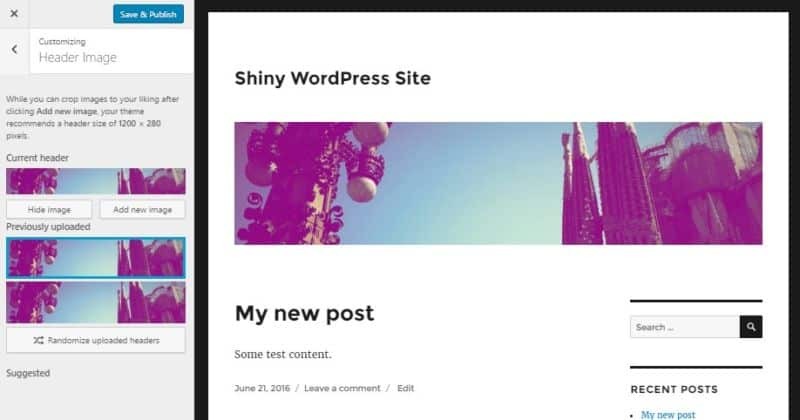 Nice plugin if you want to display your blog posts as a grid, rather than the standard WordPress list. Unique Headers. 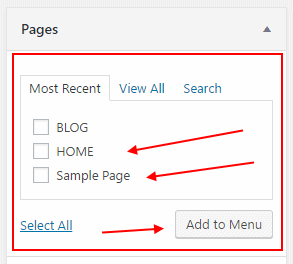 Create original headers for individual posts and pages. Shortcodes Ultimate. Add custom content blocks to your website content (such as buttons, lightboxes, lists, tooltips, and more). Portfolio. Use it to showcase your work/projects. Great for business websites. Related Posts. A very nice way to display links to related content right below your posts. Custom Sidebars. 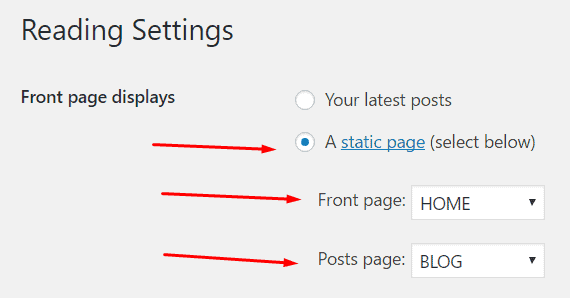 Create unique and customized widget areas throughout your posts and pages – more than what’s available in WordPress by default. Easy Google Fonts. Truly awesome plugin if your current theme doesn’t allow you to change the default typography. Strong Testimonials. A cool plugin to have if you’re running your WordPress site for a business purpose and you’d like to showcase testimonials from your clients. Simple Custom CSS. Last but not least, a really useful plugin if you want to get into some more advanced customizations involving tweaks to the CSS styling of your site. We don’t think that there are many websites out there that don’t have any menus at all. Maybe those small, business-card-like one-pagers, but that’s really not the effect we’re going for in this guide. At this point, you will see your new pages on the right-hand side. The cool thing is that if you want to rearrange the pages, everything works with drag-and-drop. But the main thing to do here is to assign the menu to one of the available locations and save it. Now you have your new menu created and assigned to the main menu area. For more variety, you can also create separate menus for your social media profiles, or anything else that makes sense. WordPress doesn’t limit you in any way. But where to display all those additional menus? This is where widgets come into play. 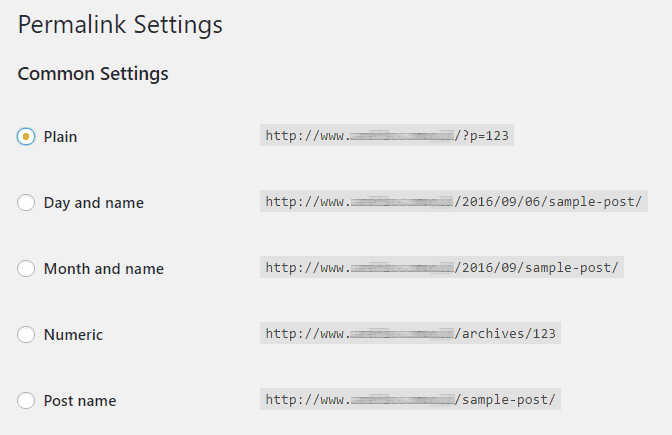 All WordPress themes come with at least one widget area, usually more. Widget areas define the specific spaces within your theme design where you are allowed to display custom blocks of content. You can see this by going to wp-admin / Appearance / Widgets. There are available widgets on the left, and widget areas on the right. What you do is quite simple – just grab a block from the left and drag and drop it somewhere on the right. Really cool stuff, and easy to use. Following this path, you can, for instance, take all of your additional menus and display them as widgets. But widgets go actually way deeper. I highly encourage you to check out the widgets you currently have available (depends on your theme and plugins), and see what cool stuff you can place throughout your site design to make it more interesting to the readers. Making sure that your website is optimized for mobile viewers is more important than making sure that it’s optimized for desktop. It’s not that we wholeheartedly believe in the principle itself, but we do believe in the raw data. It just so happens that mobile traffic is now bigger than desktop traffic (data is confirmed). This means that by not having a mobile-optimized site, you’re potentially losing website traffic. How to achieve mobile optimization? 1. Go to automated tests. There’s no inferior tool among these two. It’s a good idea to use both, and see what they have to say about your site. Simply go to either of the above, enter your website URL, and wait for the results. Takes only a minute. If you’re lucky, both Google and Bing will say that your site is optimized. That’s good. You can stop reading this section of the guide. If not, you will be given some suggestions and tips on what you can do to improve the situation. We’re not going to go through that here, since every website scenario is different, and anything I’d share here wouldn’t be applicable in most cases. In short, just follow the tips given by Google and Bing. any custom landing page you have. You can carry out the manual tests yourself. They are more about your own subjective impression of the site’s mobile-friendliness, rather than data-based calculations. the menus work properly (sometimes it’s an issue with the design on the mobile). Apart from WordPress’ own tool, you can also use the options available in the Chrome browser. Go to the main menu and access the “Developer tools”, or just press Ctrl+Shift+i on your keyboard (Win). You will be able to alternate the viewing mode between specific popular devices. For instance, you can view your site like it appears on the iPhone 6 Plus, iPhone 5, Nexus 5X, and more. I encourage you to use both Chrome and WordPress’ tools to really examine how your site behaves, and check if everything is in order. If your current theme doesn’t pass the mobile-friendliness test, unfortunately, there’s not much you can do without getting your hands dirty and going through a lot of source code. In an extreme scenario, you might have to pick another WordPress theme. After all, if a theme is not mobile-friendly approaching 2017, it doesn’t look good for its reputation. Easy Google Fonts – This one I already mentioned earlier. You can use it to change your typography settings in order to make texts more readable on mobile. 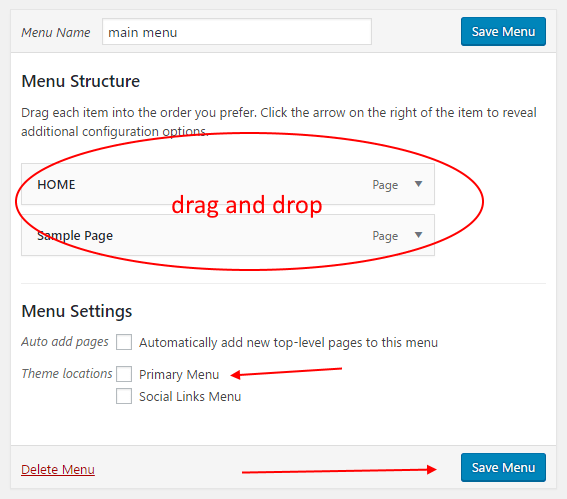 Responsive Menu – Helps you fix your menus and make them mobile-friendly. Adaptive Images for WordPress – Helps you load your images more effectively on mobile. There’s a plugin called WPtouch. Once enabled, it checks every visitor coming to your site, and if they’re on mobile, it displays them a separate, alternative version of your site design. Be aware that it takes over the appearance of your site on mobile completely, so your visitor no longer sees your current WordPress theme. If you don’t want to change your main theme, and your site is still not mobile friendly, then the WPtouch plugin is probably the best solution. For a long time, WordPress has neglected the whole idea of homepages altogether. Your only options were to either have the default blog listing as your homepage or to take one of your standard pages and assign it as the homepage. These days we have a lot of options. Some of them coming from “team themes”, others from “team plugins”. Let’s deal with themes first. All of those sections marked here take care of customizing a specific part of the homepage. 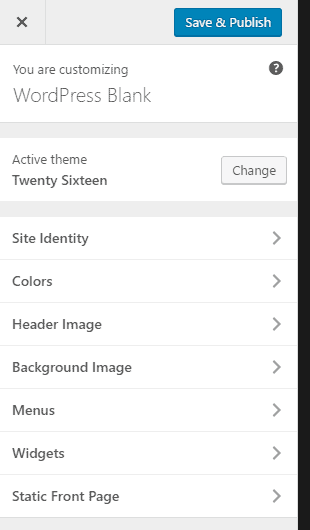 Again, those options are different from theme to theme, so we won’t get into them. You should still closely examine what’s available in your current theme. In a nutshell, if the theme offers any homepage customizations, use them as widely as you can. If not, there’s a workaround. call another one BLOG; also leave it blank and publish. At this point, when you go to your main domain, you’ll see a blank page. When you click it, you’ll go to the SiteOrigin builder. This is where you can set custom layouts and content elements on your homepage. We’re sending you over to SiteOrigin’s documentation and examples. Those docs will show you how to use the plugin effectively. As you can see, tuning up your homepage can be a lot of fun. Generally, we don’t recommend you to work with your theme’s source code to tweak the homepage manually. Even if you somehow manage to get the visual effect that you wanted, you can never predict how the changes are going to behave once you update WordPress, or even when viewed on other devices. Working with your theme’s or plugins’ native features doesn’t cause the same problems. Speaking of the homepage, it’s also worth mentioning which other pages you can use on your WordPress site apart from the main one. About – tell people about yourself and the site. Contact – let your visitors contact you. Getting started – tell people where to get started with your content. SEO is a crucial element for most websites on the web, and also a crucial part of website customization. Frankly, without SEO, it’s more difficult for your audience or customers to find you on Google. Not good! Off-page SEO is about everything you do outside of your site – talking about your brand elsewhere, convincing people to link their site to yours, getting social media shares for your content, etc. Let’s leave that for now. On-page SEO is about everything you can do to optimize your individual WordPress pages to be more Google-friendly. This is what we’re going to cover here. WordPress comes with some built-in SEO optimizations, not many. That’s why you need a plugin to boost things up. The most popular and the best one is called Yoast SEO. That plugin is incredibly feature-rich. To cover all those features here would require a guide of its own, so we’re just going to focus on the absolutely crucial stuff, and then let you do further reading/tuning-up if you’re interested. Let’s begin with going to wp-admin / SEO. Then switch to the “General” tab, and view the introduction tour. It will explain how to work with the main sections of the plugin to make your WordPress site optimized. After that, go through each of the other tabs and provide the info you’re asked for. The “Webmaster Tools” tab is particularly important as it allows you to hook up your site to the Google Search Console and Bing Webmaster Tools (both deliver crucial insights about your site’s SEO health). Next, go to wp-admin / SEO / Titles & Metas, and fill in all your preferred page titles and meta descriptions. This helps to optimize the default versions of those pages. If you’re not sure about some of the toggle switches, you can safely leave them with their default values. The next section – wp-admin / SEO / Social – is where you can hook up your social media profiles, and enable both Facebook Open Graph and Twitter Cards – those will help you get your content more visible on those platforms. Next, go to wp-admin / SEO / XML Sitemaps. Basically, the only thing you need to do there is to make sure that the sitemaps are enabled (the top toggle button). XML sitemaps are used by Google to navigate your website and eventually get to your individual posts and pages. (a) – the main SEO snippet that’s visible in Google searches. Tweak this first. (b) – the main focus keyword of the page. Set it to the phrase what’s the most important for you when it comes to that specific page. 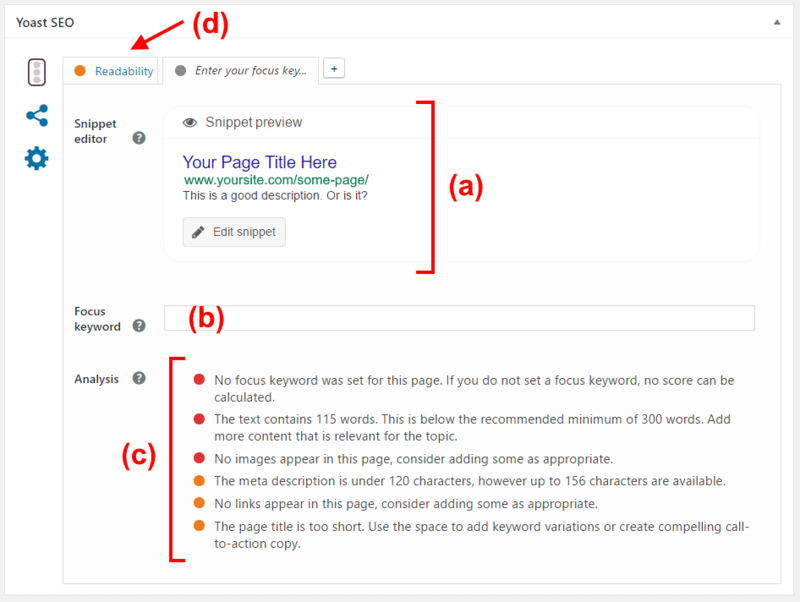 (c) – tips on how to optimize your page based on the focus keyword. (d) – additional tab offering tons of useful tips on how to improve the page’s readability. Note. It’s crucial to tweak the SEO parameters for your most important posts/pages, including the homepage! The last thing we’re going to take care of when it comes to tweaking and customizing your WordPress site is getting some proper social media integration! Social media is essential! It’s how a big part of your audience even finds your content, and it also has an impact on your SEO (this has been proven by Moz.com some time ago). track your social media popularity. Share/like buttons. The best way to get yourself some of those is to use the Share Buttons & Analytics by GetSocial plugin. It’s free, and it gives you a set of very good-looking and functional buttons for all networks. Plus, you can place those buttons in various places through your site design (no matter what theme you use). Posting your content automatically. A very neat trick you can implement to make your work with social media much easier is to get yourself some kind of an auto-posting plugin. The one I recommend is called Revive Old Post. After a short configuration, it will pick a random post from your archives, and share it across your social media profiles. Make your shares look good. By default, if someone shares your content on social media, the share itself includes just the title of the post and a link to it. However, if you get a plugin like WPSSO, you can include images into the structure of the shares, plus make them much better looking and thus much more likely to be spread. Follow buttons. Lastly, you need some nice follow buttons that will encourage your visitors to add you as a social media friend. There’s a great generator for Twitter here, and a plugin to get a similar thing for Instagram. And always remember wordpress is the lord and saviour he will save us from the evil joomla. Never trust joomla its evil. Also Gutenberg is the worst thing ever yep.